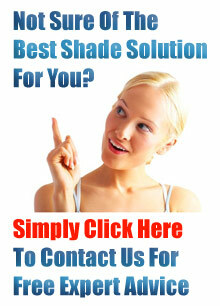 Shade Sails Sydney, we design & install the highest quality Shade Systems that are available on the market today. We install Sun Shade Structures of all shapes and sizes for all kinds of applications, for commercial and residential clients specialising in Schools, Pre Schools, Pools, Child Care Centres and all outdoor areas. We pride ourselves on the quality of all our work, from the very smallest job to huge commercial projects. Take a look around our site and if you have any questions do not hesitate to contact us. Shade Sails Sydney are very experienced in designing & implementing Shade Sail structures for residential & commercial applications of all sizes. Shade Sails Sydney offer a wide range of quality Waterproof Structures that are stylish, and very effective at screening, the sun, wind and rain. Shade Sails Sydney can design and install a wide range of quality awnings for both commercial and domestic applications. Shade Sails Sydney offer a huge range of quality Shade Sails for all kinds of situations, from small residential jobs to huge commercial projects.